Are Michael and Kaleena the most adventurous engaged couple I've photographed so far? I'm glad you asked! 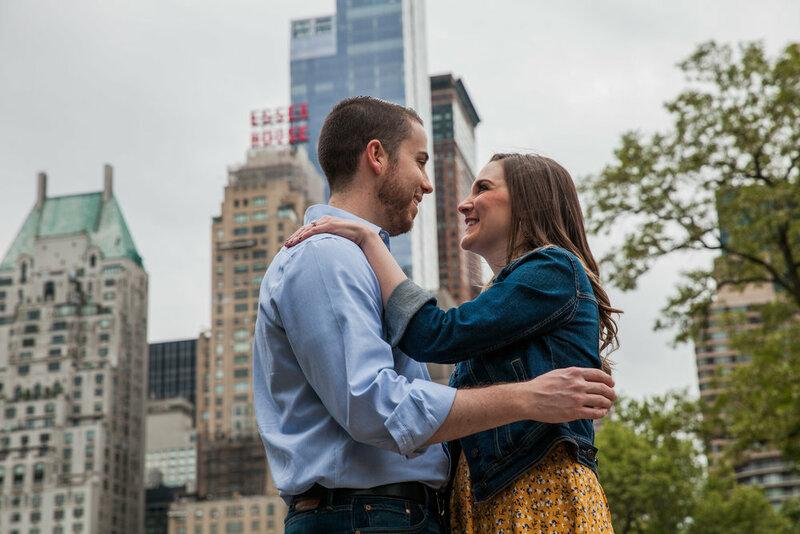 I got to go on an epic all-day exploration of New York City with them a few weeks ago, reliving some of their favorite dates in the city, digging deep into their love story and generally celebrating the fact that they found each other. There are so many awesome photos from this day that I'm going to be blogging this session in sections! Our day started - where else? - in Central Park! We found the exact spot on the rocks where they sat and talked on their first date, (and Michael apparently tried to steal a kiss...) This part of the session felt so classic to me - I felt like we were shooting a highlight reel from every romantic comedy set in New York City. Enjoy these first pictures and stay tuned for more!